We are looking forward to temperatures dropping and are planning our next camping trip – Fall and perfect camping weather is coming! The kids have already got their fishing tackle boxes ready to go and are planning the different ingredients to use in s’mores this trip. Do you go camping? 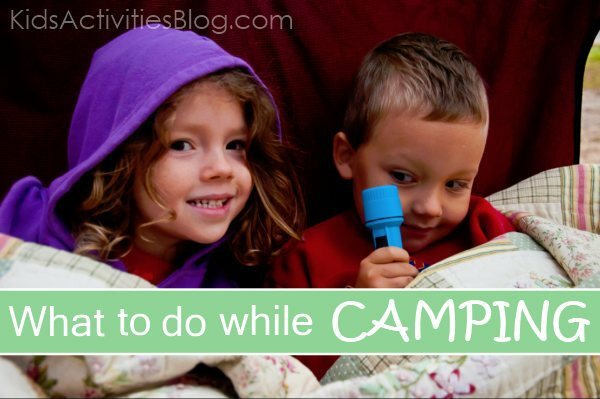 Here are some of our favorite things to do when we go camping. Play Bicycle Game – create a race or a bike route for your kids to go around at the campground. Enjoy Campfire food – like these yummy s’more cones. Study the life of a flame with your kids – great winding down activity before curling up in sleeping bags for the night. Go on a nature walk with the kiddos – this bag will help you explore and collect. Play with Glow sticks. You can put the sticks inside of balloons, or even dump the contents into a jar for some glow light. Play with Tree branches – you can make blocks with them, re-create a small tree, or play fetch with the dog. Grill some bananas for a dessert treat – slice the peel open and stuff it with chocolate/marshmallows before grilling. Yum! Want something more healthy? Consider Pie on a stick. Bring along homemade Mosquito Repellant – forgot the repellant?? Have a ton of bug bites? This miracle bug sting spray (aka Chloraseptic throat spray) will take the sting away. Looking for More Camping with Kids Tips? 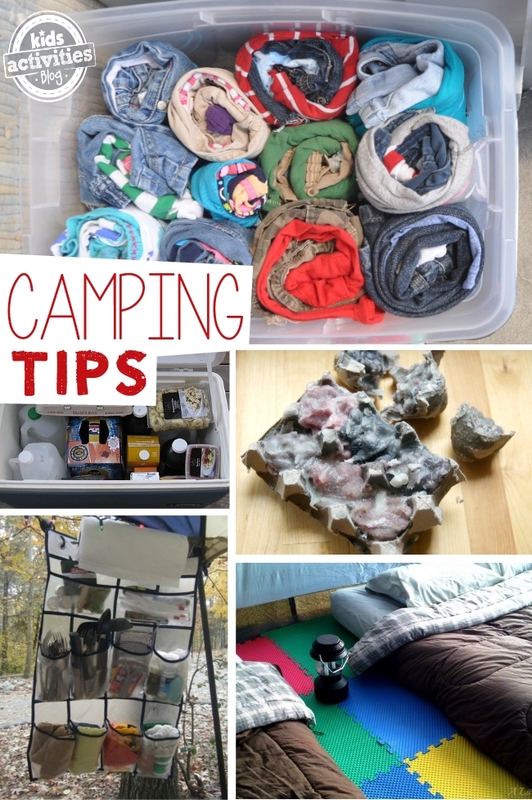 We have a MASSIVE list of camping hacks for families…you don’t want to miss out! Great activities! We love camping! Found you through pinterest!